How Are Shingles And Post Herpetic Neuralgia Related? Home » Inside Pain » How Are Shingles And Post Herpetic Neuralgia Related? Shingles and post herpetic neuralgia are closely related. Both are connected to the herpes varicella-zoster virus. However, while the two conditions are closely linked to each other, shingles and post herpetic neuralgia are two distinct conditions with different causes and symptoms. Shingles is the result of an infection. The same virus that causes chicken pox is responsible for shingles. The virus, herpes varicella-zoster, remains dormant in the body after an individual has chicken pox. The dormant virus stays in the nerves, particularly near the spine. Sometimes, the virus reactivates. It travels up the nerve and affects the skin connected to a particular nerve (or nerves), causing a painful rash. The rash may also develop fluid-filled blisters that eventually break and crust over. Typically, the rash will affect just one side of the body. Often there will be just a stripe of rash or blisters. In addition to this, individuals might also experience fatigue, achiness, headaches, fever, or chills. Post herpetic neuralgia results from nerve damage caused by shingles. Pain that lasts after an outbreak of shingles has healed is called post herpetic neuralgia. Some experts suggest that pain that lasts two weeks after shingles should be termed post herpetic neuralgia, while others think that the pain must last for three or more months before it can be called post herpetic neuralgia. However long it takes to be diagnosed, post herpetic neuralgia can be intensely painful and can, in some cases, last for years. While shingles is an infection, post herpetic neuralgia is an after-the-fact complication of an infection. A shingles outbreak is thought to damage the nerves. It’s thought that shingles may cause scar tissue to form next to nerves. The scar tissue may press on the nerves, interfering with them and mixing the signals they send. 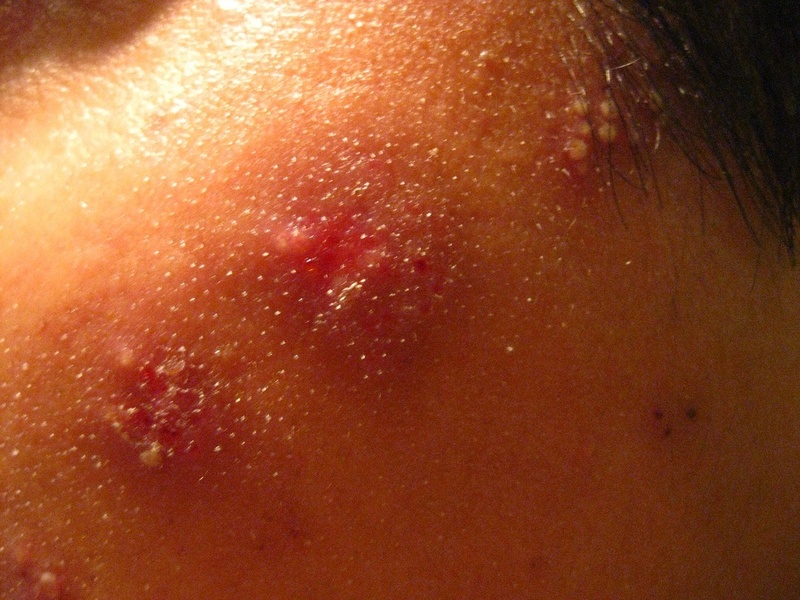 The risk factors for shingles and for post herpetic neuralgia are similar. Around 99.5% of the United States population is carrying the herpes varicella-zoster virus, either because they’ve already had chicken pox or because they’ve encountered someone who has it. Approximately 25-33% of people who’ve had chicken pox will someday develop shingles, and about 10-20% of people who’ve had shingles will develop post herpetic neuralgia. Unfortunately, though, it’s impossible to predict who will develop shingles or post herpetic neuralgia. However, one main risk factor has been identified for both conditions: a lowered immune system. Diseases that affect the immune system, such as AIDS, or medications that interfere with the immune system can raise the risk of shingles or post herpetic neuralgia. Race also seems to affect an individual’s likelihood of developing shingles or post herpetic neuralgia. White Americans develop both conditions at more than double the rate of African Americans in the same age group. Prevention of shingles and post herpetic neuralgia has to take into account an individual’s history. In other words, it’s necessary to look at the progression of the conditions involved: chicken pox, shingles, and post herpetic neuralgia. Being vaccinated against chickenpox reduces the risk of developing all three conditions; some experts suggest that it may reduce the risk of post herpetic neuralgia by 67%. However, people who’ve already had the chicken pox shouldn’t be vaccinated, and most adults already have the virus in their system after having chicken pox as children, so this isn’t very realistic for most of the population. The shingles vaccine is suggested for everyone age 60 and over, but anyone who’s at least 50 years old can get it. Since post herpetic neuralgia only occurs after shingles, preventing one will also prevent the other. Additionally, while the shingles vaccine is not meant to treat active shingles or post herpetic neuralgia once it’s developed, the vaccine can lessen the risk of future shingles outbreaks even in someone who’s already experienced shingles. Aside from preventing shingles as much as possible, the best way to prevent post herpetic neuralgia is to get prompt medical treatment for shingles. Taking antiviral medications within the first three days after developing shingles can reduce the duration of the shingles outbreak while also reducing the risk of developing post herpetic neuralgia. In fact, the sooner a course of antiviral medications is started after developing shingles, the less likely it is that post herpetic neuralgia will occur. Even if post herpetic neuralgia develops, prompt shingles treatment can reduce the intensity and duration of the neuralgia pain. Treatment for post herpetic neuralgia focuses on pain management. Most cases of post herpetic neuralgia are responsive to pain management techniques. Additionally, post herpetic neuralgia often goes away on its own for months, years, or even permanently. Have you ever had shingles or post herpetic neuralgia?